I am super fortunate to have one of those friends, her name is Jody! Except Jody’s plans always involve an unconventional Adirondack Coast adventure. From kayaking during the harvest moon or hiking in the winter, she helps me see the Adirondack Coast from a new perspective. She’s even created an “Adventure Club”. It consists of a group of ladies who meet up occasionally and go on crazy adventures. 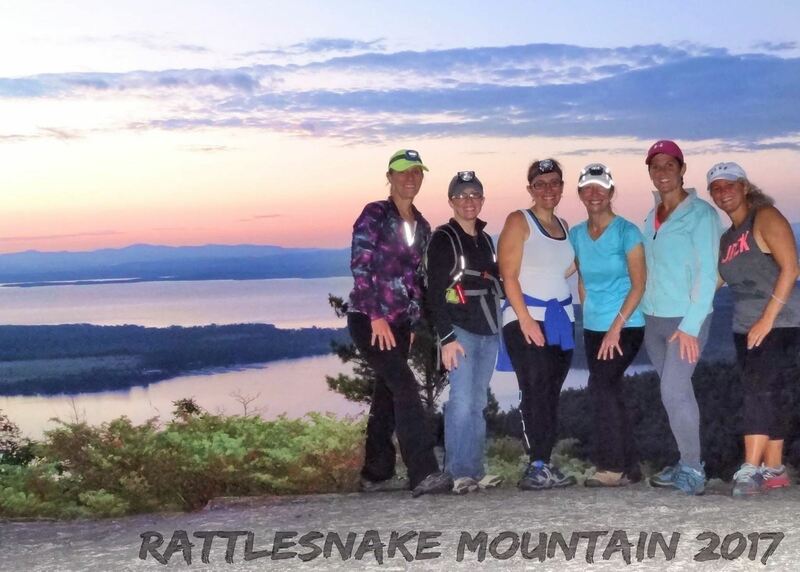 Our recent outing was hiking Rattlesnake Mountain in Willsboro to watch the sunrise from the peak. At first, I was a bit skeptical… like, aren’t there bears in those mountains?! But then I thought, how fun would it be to hike in the dark with nothing but headlamps while gabbing with friends? And we all get to experience an Adirondack sunrise at the end? Fine, I was in! 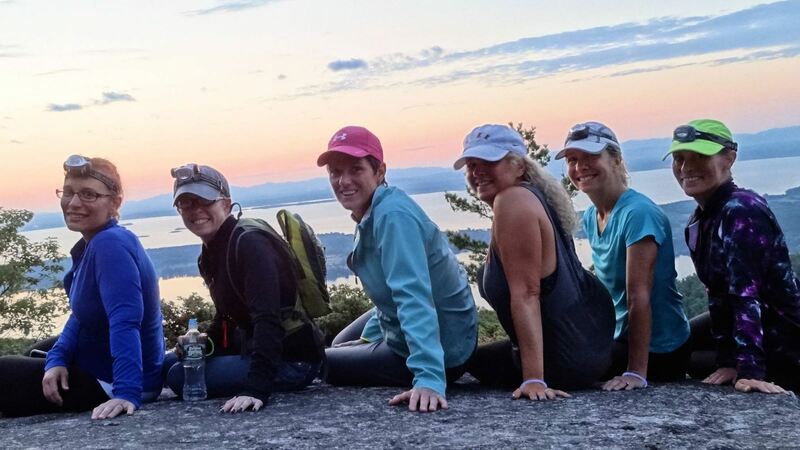 On this particularly July day, sunrise was at 5:20 a.m.
We all arrived at the base of Rattlesnake at 4:00 a.m., giving us plenty of time to get our gear on and prep for our journey to the top. 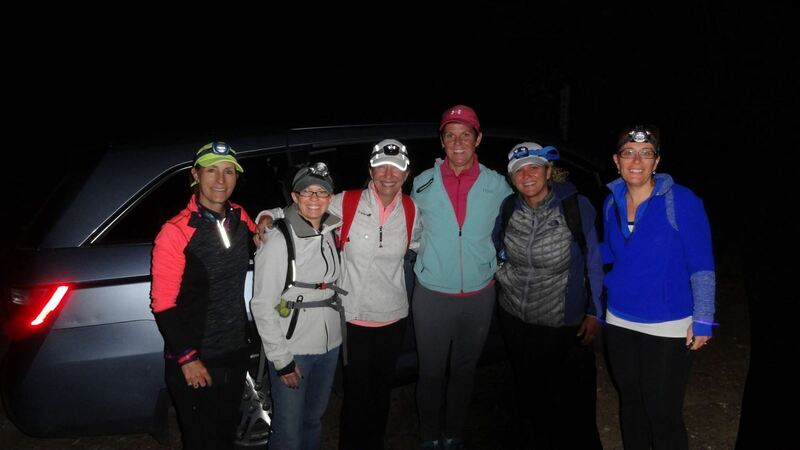 The group of women laughed as we put on our headlamps and glow sticks (quite fashionable). With flashlights in hand, we started our 45 minute trek. The climb was great – pitch black – but great. We heard trees rustling from the wind, a babbling brook and our own footsteps keeping pace as we embraced the gentle climb towards the top. When we reached the top, daylight was breaking but the sun was still out of view. We did what all women would do and took a million pictures of ourselves in a variety of magazine-worthy poses and ate snacks while we waited. Then – it happened. The sun started poking out from behind the mountains and the group went silent for the first time in hours. We stood in amazement of the sight before us: a beautiful sunrise over the mountains, with bright and vibrant colors. It was spectacular, breath-taking, peaceful and TOTALLY worth it! Not one smartphone camera was out. We all just simply watched. When the sun was high in the sky we proceeded to decend – it took us under 40 minutes to get down to the bottom and back to our cars. It was only 6:45am; we went our separate ways and started our day with another unforgettable “Adventure Club” experience under our belts. Thanks, Jody! 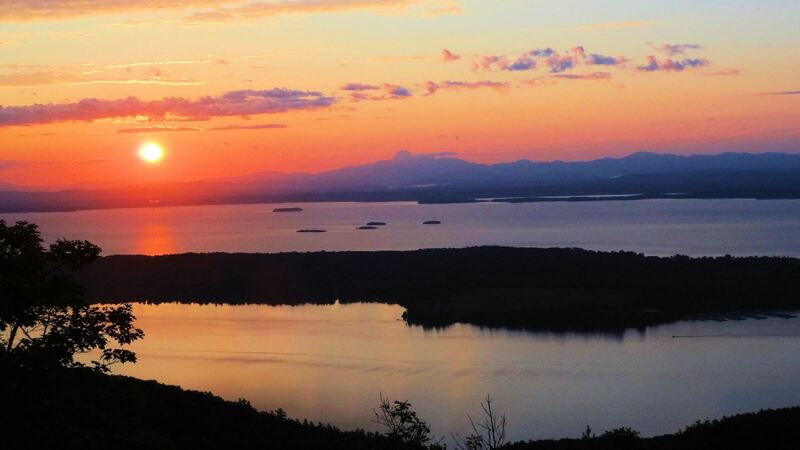 Have you embarked on an invigorating Adirondack Coast hike recently? Post your photos online and don't forget to tag #AdirondackCoast! Kristy Kennedy serves as Vice President of Marketing and The Director of Tourism for the Adirondack Coast Visitor Bureau, a division of the North Country Chamber of Commerce; she has been with the company since 2008. In this capacity, Kristy leads the Visitors Bureau’s efforts in developing and implementing a yearly strategic marketing plan to increase tourism in Clinton County. 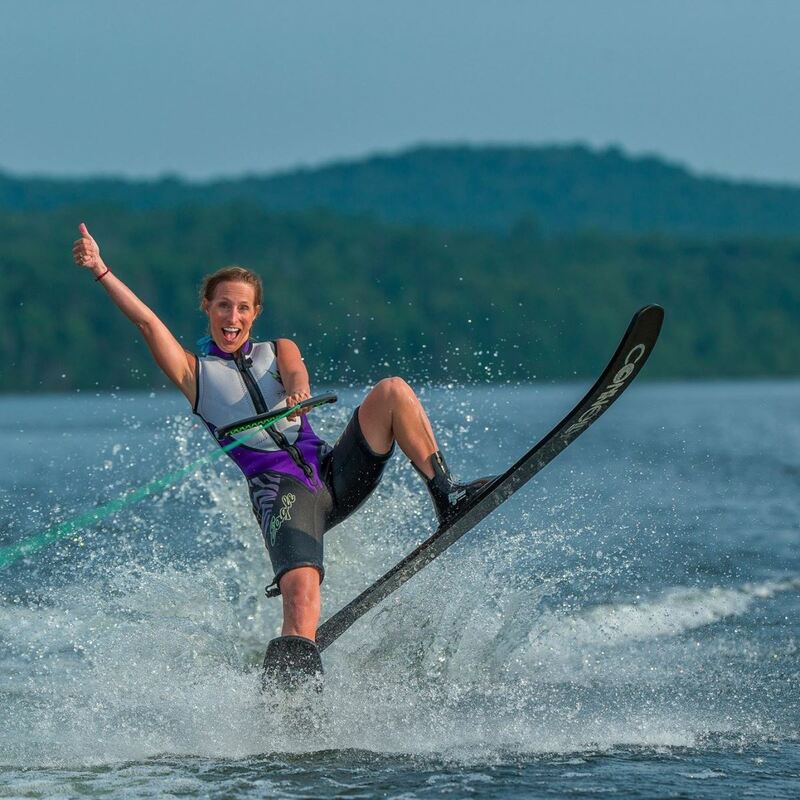 She strives to increase awareness and tourism in the area by developing ad campaigns, messaging, promotional collateral and online communications, while steering co-operative efforts with I Love New York, the Adirondack Regional Tourism Council and local businesses on important tourism initiatives. In her free time Kristy enjoys lots of regional activites including kayaking, visiting local restaurants and microbrewies with friends and family and exploring the Adirondack Coast with her better half and adorable nephews.